New Opening Limited Time Offer! For more information, please do not hesitate to contact us at 62452298, 98210838 or 91913094. 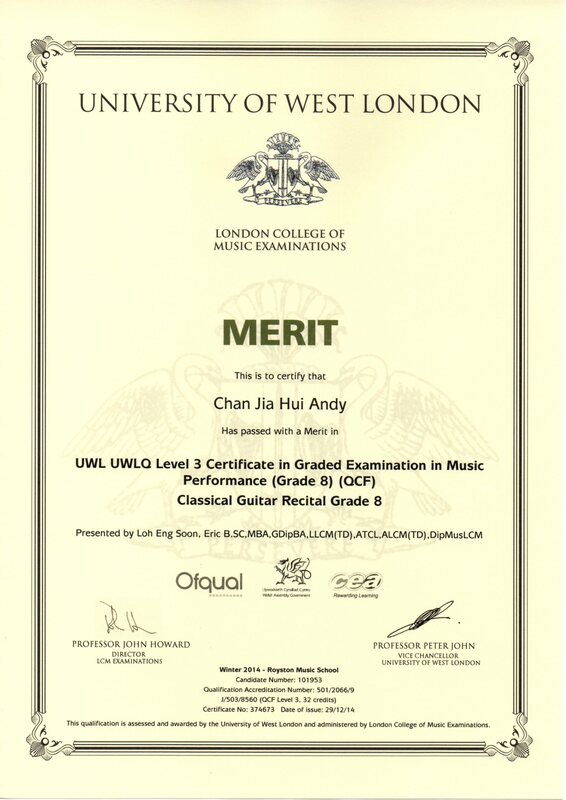 LCM Winter 2015 Examination Results! Congratulations! 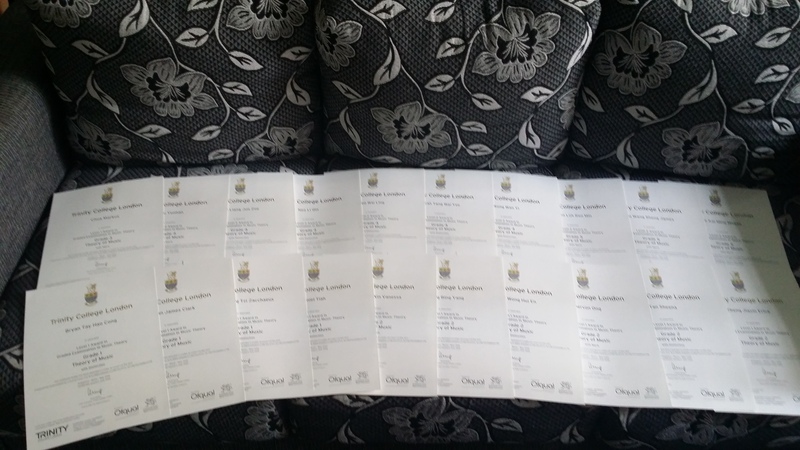 We have 1 Diploma, 7 Distinctions, 7 Merits and 3 Passes for the recent Winter(Dec) 2015 LCM Exams! 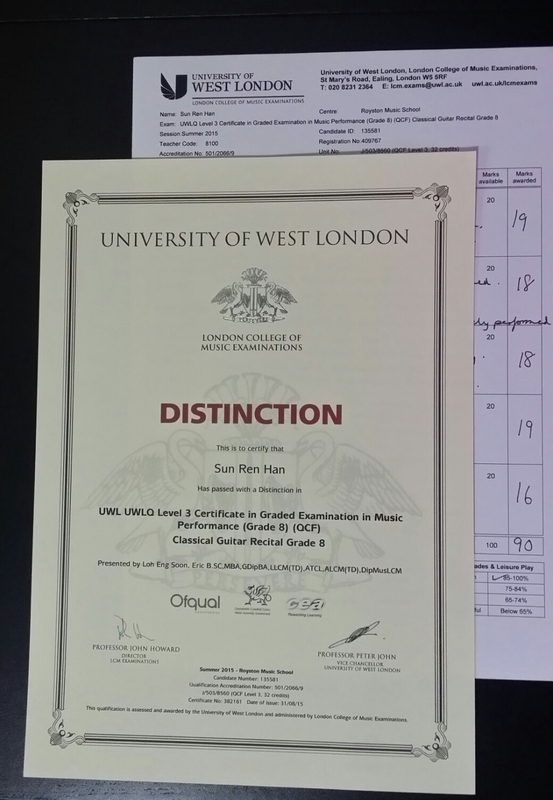 I am very proud that we have DipLCM at 87 marks and also 2 Distinctions out of 3 grade 8 students! 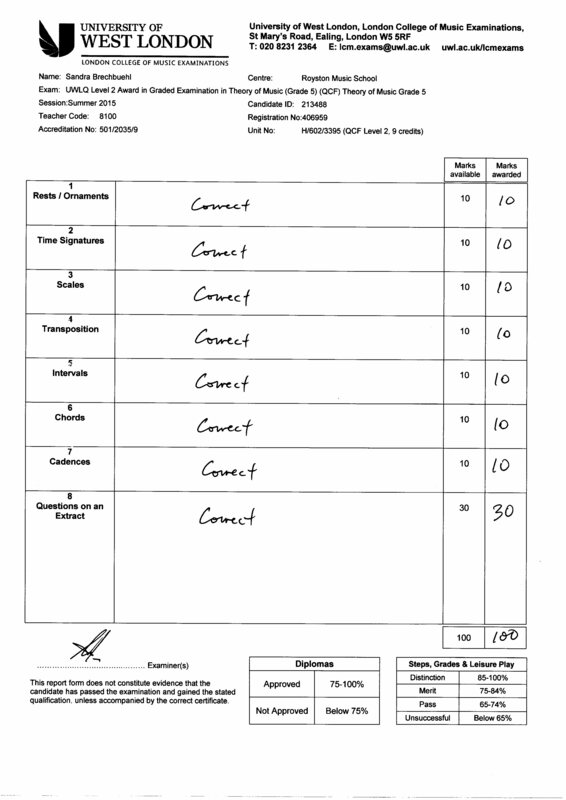 Summer 2015 Guitar Exam Results! 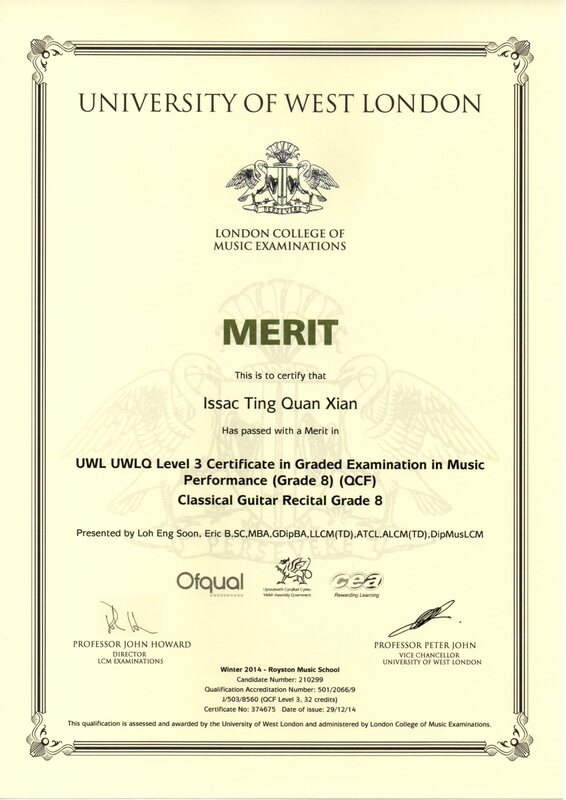 Congratulation to my LCM guitar students again! 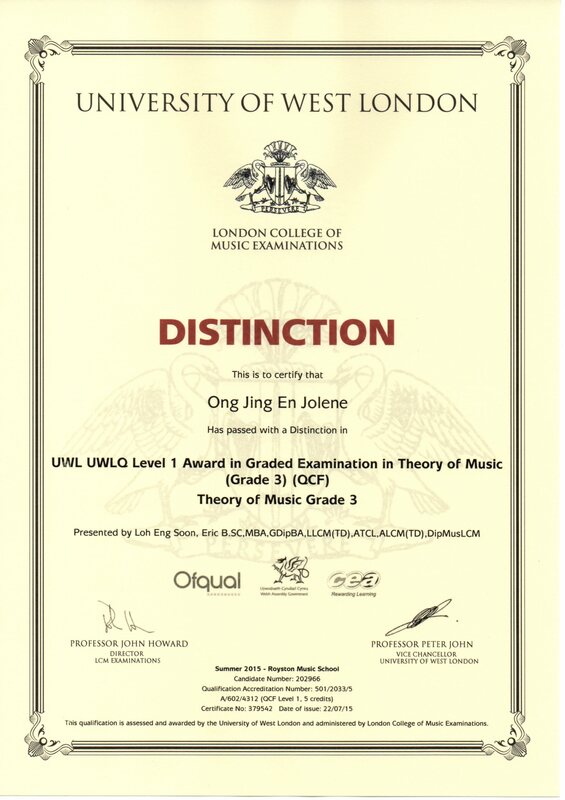 Have sent 9 students for LCM Summer 2015 Guitar Exam and very glad to receive 100% Passes with 6 Distinctions, 1 Merit and 2 Passes, including a grade 8 student attaining a High Distinction at 90/100 marks! Summer 2015 LCM Theory Results! 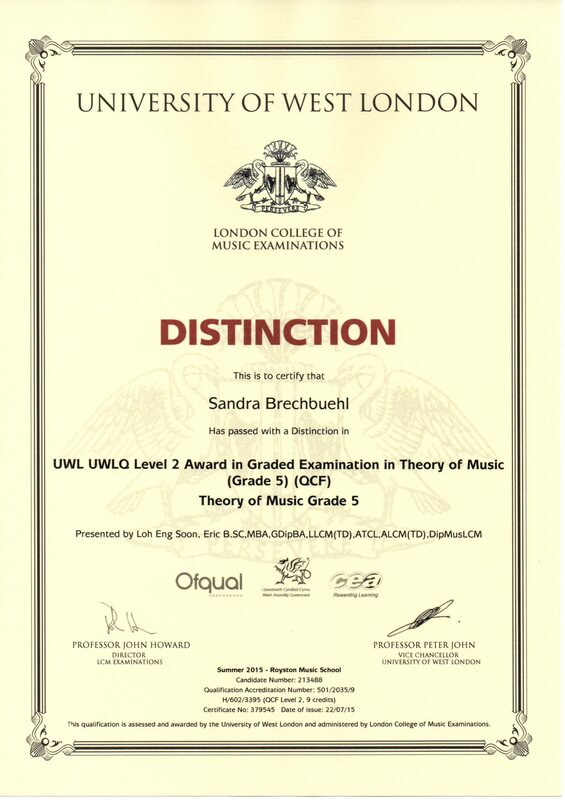 Congratulation to my LCM theory students! 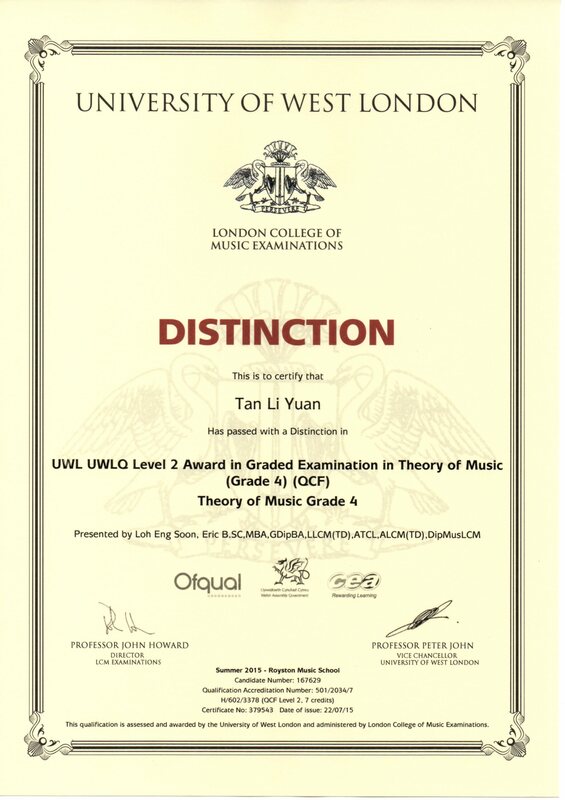 Have sent 4 students for LCM Summer 2015 Theory Exam and very glad to receive 100% Distinction for this round, including a grade 5 student attaining a perfect score of 100/100 marks! May 2015 Trinity College London Theory Results! May 2015 Trinity Theory Results is out! All cleared, 10 Distinctions, 7 Merits and 3 Passes out of 20 candidates! An update on our LCM Spring 2015 results! Congratulation to all my 10 Spring 2015 LCM exam students! 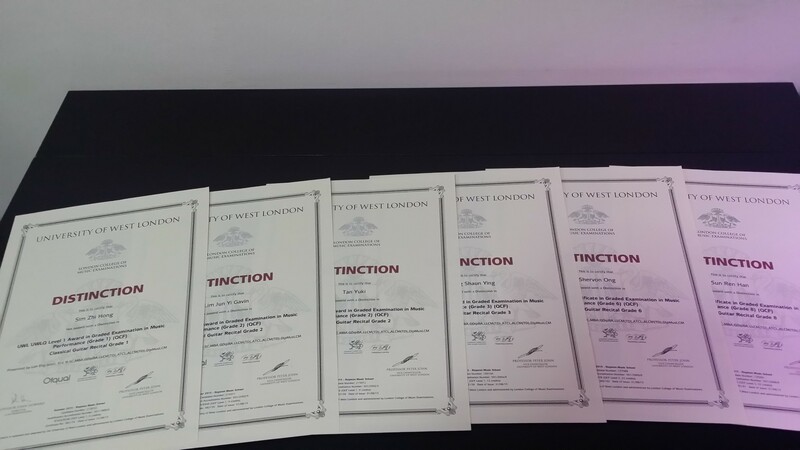 We have 100% passes for 5 consecutive sessions! 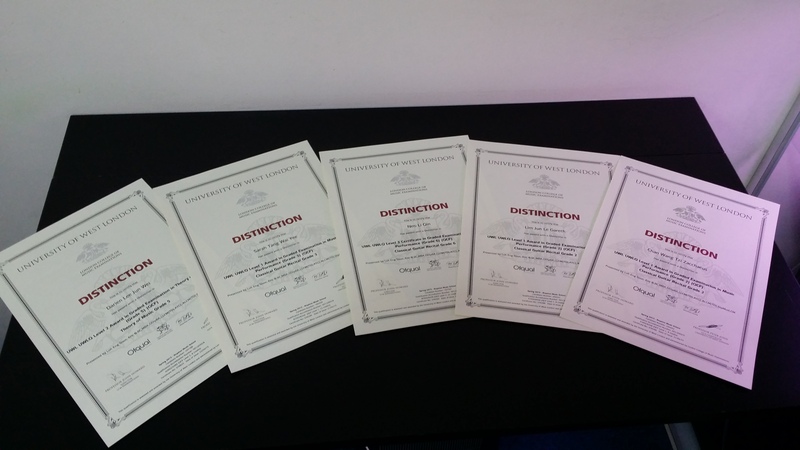 This session, we have 5 Distinctions and 5 Merits. 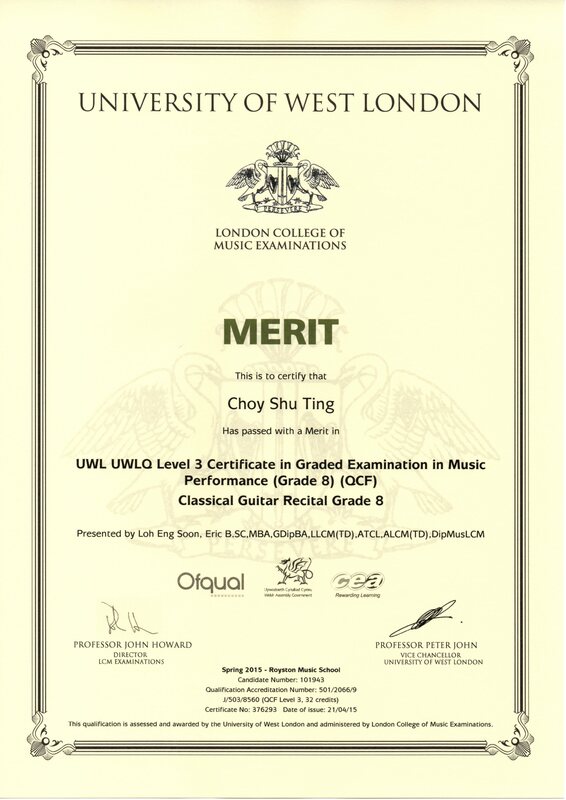 Congratulation to Shu Ting as well for passing her classical guitar grade 8 exam with Merit! Thanks for an excellent year 2014! Another proud moment for 2014! 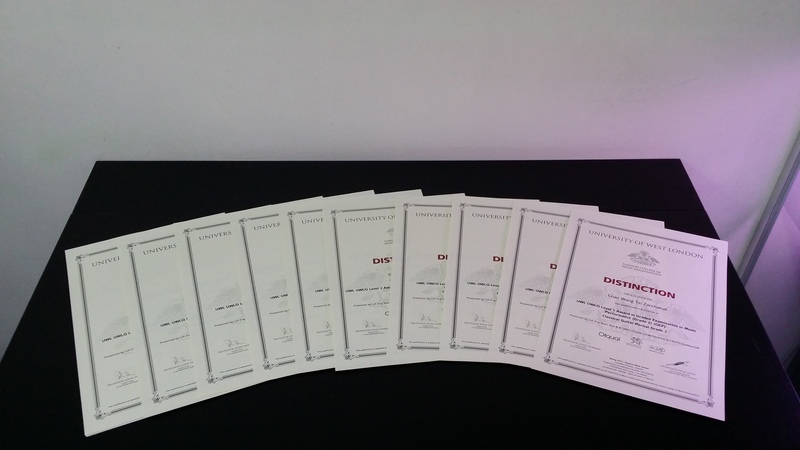 We have an excellent 2014 with 1 Diploma in Spring 2014 and 3 Grade 8 in Winter 2014 for Classical Guitar. 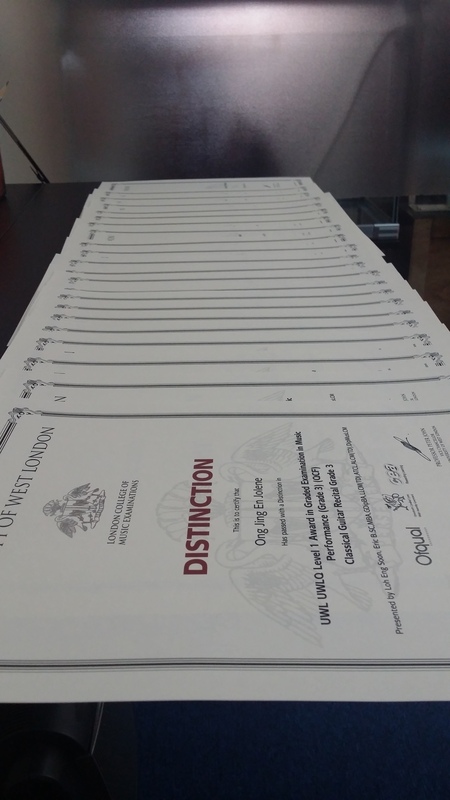 A 100% passing rate record for more than 100 exam candidates/students for the pass 4 consecutive examining sessions. I can’t believe that I can hold this record much further….. 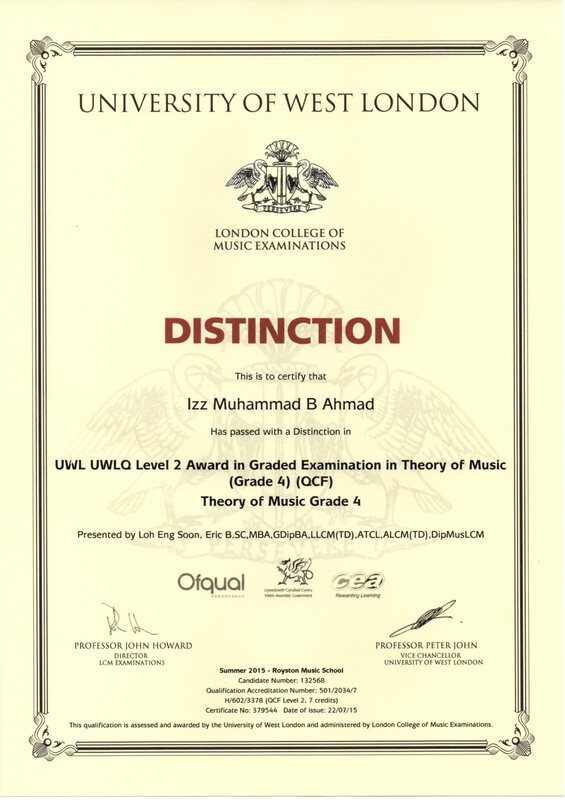 I am very grateful to all my students whom have put in so much efforts in their learning and music examinations. Congratulation to those who have just received their December (Winter) 2014 results!